Looking for a specific event? 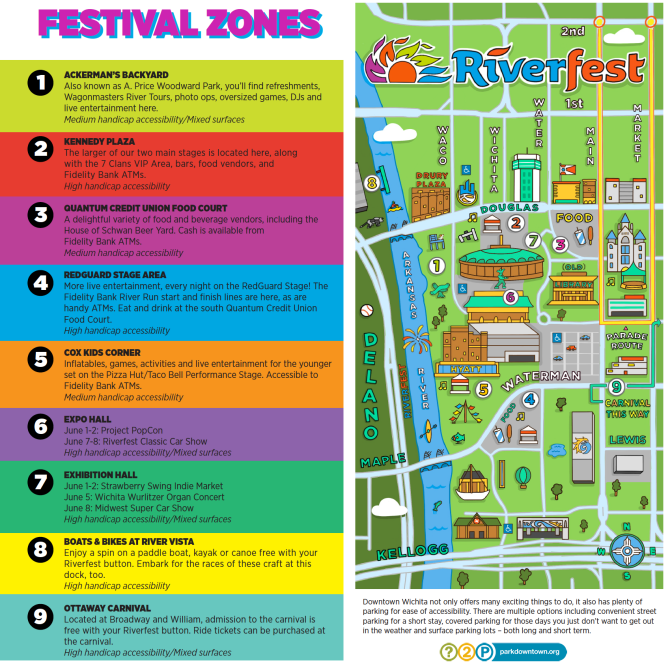 Here you&apos;ll find how to navigate through Wichita Riverfest with this handy map! For questions about parking and open lots in downtown Wichita, visit parkdowntown.org. Here are some free, convenient transportation options.